No Fenders -Formula 1, IndyCar and A Whole lot more..: Mustang turns 50! Otay, so this is old news, and will show Yuhs just how much I've slipped from the hype "o automobiles... Especially since I was more enthralled with playing Arcade Fire's current album's title song Reflector upon Zed 'Confuzer vs. typing something mesmerizing about Ford's Mustang, thee original "Pony Car" turning the B-I-G 5-Oh on April 17, 2014. Yeah, I suppose I should have been "JAZZED" over this occasion, after all having once owned a very rough 1969 Mach 1, my "Poor Man's" rendition of the stang' I really wanted, one of the 'Uber rare, nee expensive 1970 BOSS 302's! As some where's at Tomaso Manor resides the long ago pictures taken of my '69 Fastback at the inaugural Canterbury Faire's car show where Deano' snapped the picture of my chariot with the Beater Ford parking sign in front of I-T; Hooah! Having had my flames fanned for A-L-L thingys "FoMoCo," particularly Mustang's and Shelby's in particular fed by Roberto & Co, along with honorary inclusion in WASAAC, Washington's original Shelby Club, along with being its Motorsports Beat Writer for Saac Time, the club's monthly newsletter for six years. This consumption of Pony-fever boiled over by getting to drive Roberto's '66 Shelby GT-350H rental "Rocket-car," along with piloting BOSS BILL's' grabber orange 1970 BOSS 302! And test driving the Mustang I should have bought, a completely restored yellow '70 Mach 1, albeit a "Slush-box," (Automatic) while I wanted a 4-speed car instead! Not to mention numerous rides aboard a bevy of 1965-66-67-68 Shelby Mustang's, most notably Randy's NASTY '65 Shelby GT-350 vintage racecar at Portland International Raceway - as I still fondly recall goin' 3-WIDE down PIR's front straight whilst playfully racin' to be first into the Festival Curve! As I've bled so deep Ford blue over the years that Tacoma Bureau Chief Mary Ellen had to call and ask What's the Dealio? Why hadn't I told her it was the Mustang's 50th birthday and she'd had to hear about it on the radio instead. But I suppose a large piece of my enthusiasm for Mustang's was lost the day I had to sell my Mach 1 - having lost the ability to drive automobiles anymore due to my faltering eyesight, which really kicked my ARSE initially! 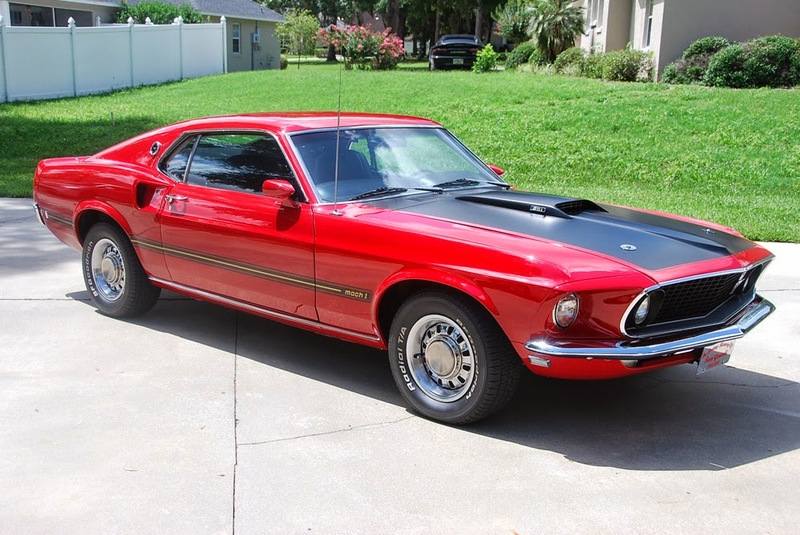 As I'd spent countless hours dreaming of how I'd restore my Stang' into a NASTY '69 BOSS 302 clone, albeit upgrading the motor to fuel injection, etc, even having drawn up sketches of wrapping its front hood & fender's with Larry Shinoda's '94 BOSS graphics treatment. Yet like many typical Hot Rodders or Petrolheads', I simply lacked the dinero to restore my Stang' quickly and instead just enjoyed going for my Sunday Drive's on my various "Back-roads loops!" As the original story plus countless others tells of how the original 1965 Mustang convertible was cut into three pieces plus windshield to fit into the Empire State building's 36-inch wide elevators in order to reach the 86th story observation deck. This year's Mustang GT convertible used for the feat naturally is longer, wider and taller, and thus, the new donor chassis for the project was cut into six pieces, along with needing to be fully assembled in just a scant six hours time! All of which makes me Jones' for a ride in a new Mustang, as its funny to realize that I haven't ever set foot inside of any new Stang's' since the 5.0-liter era, meaning I haven't been fortunate enough to ride in a Mustang involving the '94 body style forwards; SHEISA! 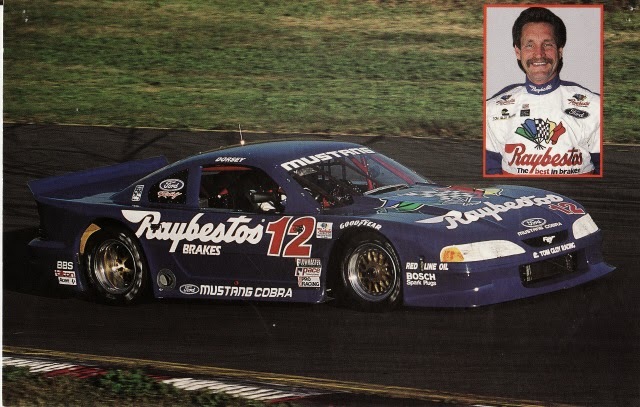 Making I-T even funnier yet, is the fact that I've kept two 30th Anniversary Ford Racing Mustang posters autographed by the "Gloy Boyz," aka Dorsey Schroeder, Boris Said and John Gooding stuffed in a poster tube A-L-L of these year's now! As I can still see 'Ol Dorsey's snarky frown grimacing at Mwah for getting two posters signed at Y'all guessed I-T! Portland International Raceway during the '94 CART/PPG IndyCar race, when the factory backed Trans Am wars were still going strong. Now if we could just get the Indianapolis Motor Speedway to drop its General Motors "exclusivity" clause, as it'd sure be nice to see a Stang' pacing the Indy 500 field in 2015!